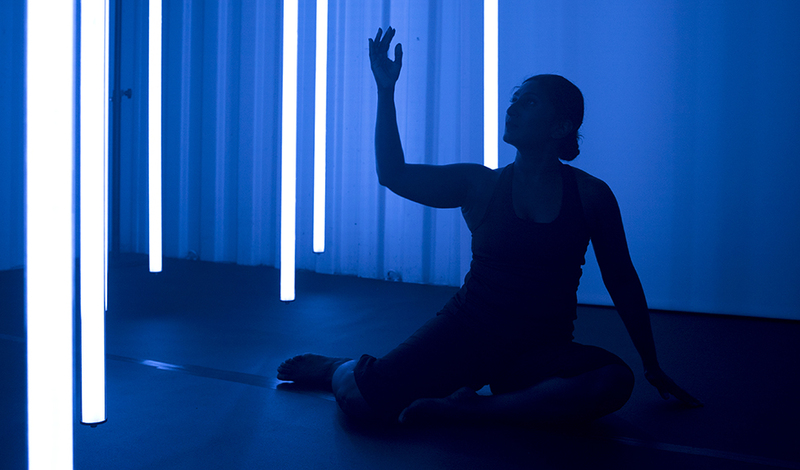 Audio-visual installation and live dance performance sited within two adjoined shipping containers. A shipping container is a large metal box, strong enough to withstand movement, storage, and handling. A frame. A vessel. Serving a function. Who knows what secrets lie inside? Inside a shipping container is something intimate and intricate. Alluring, yet alarming. 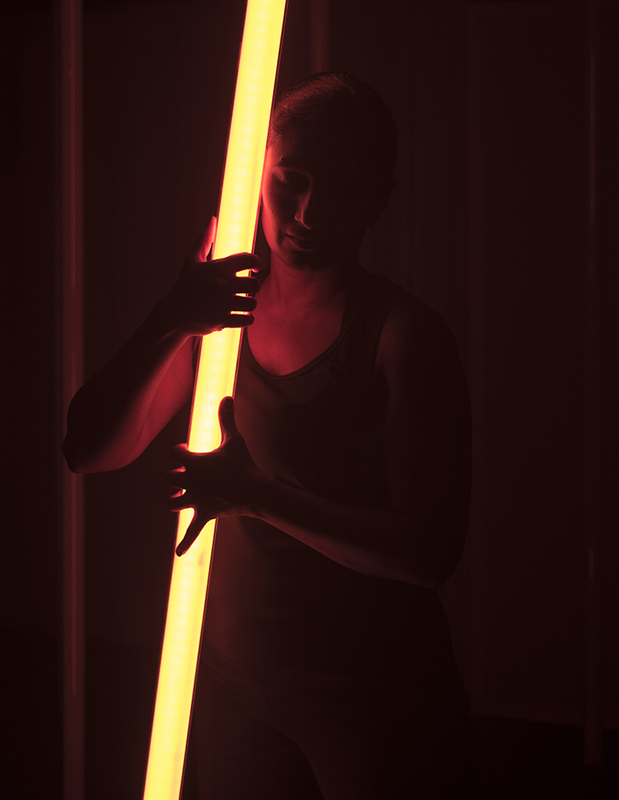 Unkindest Cut interweaves dance, performance, text and film around a complex light installation to engage you with issues around young people and mental health. It creates a dark and captivating world, a landscape of experiences as emotionally charged as it is thought-provoking, as stimulating as it is unforgettable. 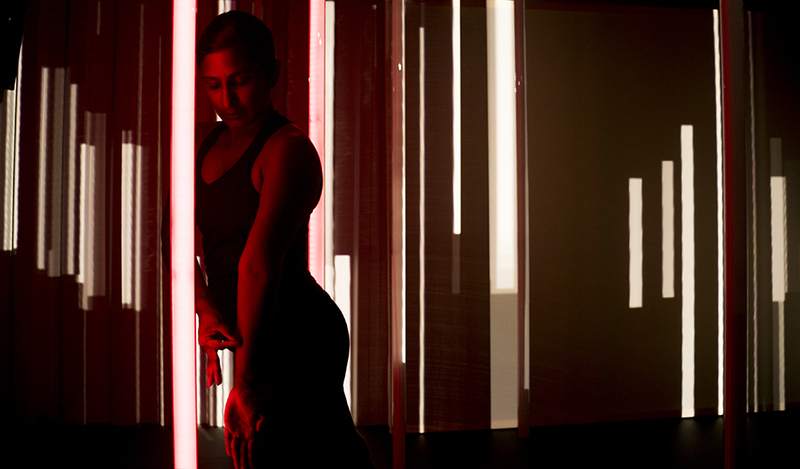 Concept and Direction by Subathra Subramaniam of Sadhana Dance in collaboration with audio visual artists Kathy Hinde and Matthew Olden and lighting designer Aideen Malone. Premiered in shipping containers at Pavilion Dance South Terrace in July 2016 with special thanks to our commissioning partners Bedford Creative Arts and Pavilion Dance South West. 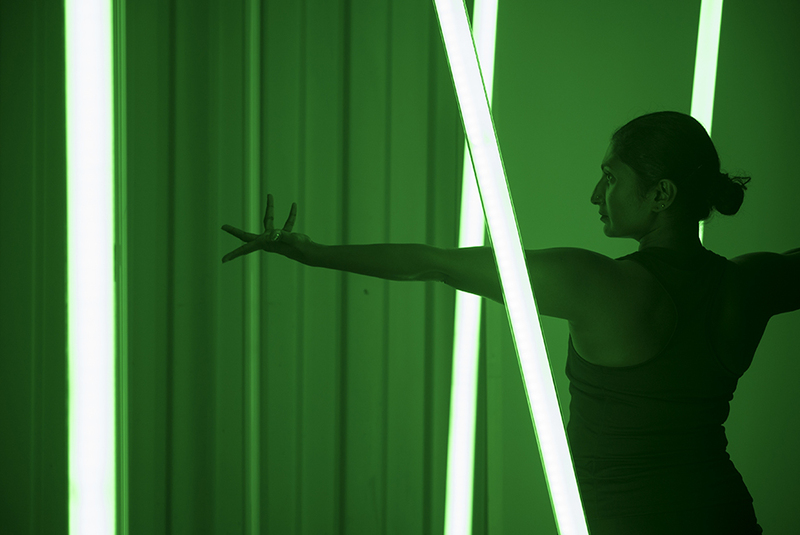 21 February, 2018 | Filed under Collaborations and tagged with audio-visual, collaboration, composition, dance, installation, kinetic sculpture, light, live visuals, music, performance, site-specific, video projection.